Leyton Studios is a an artist-run workspace for artists, designers and craftspeople, which is local to me in East London and has been up and running for about a year. One of the units houses a print studio and photographic darkroom run by my good friend Claire. 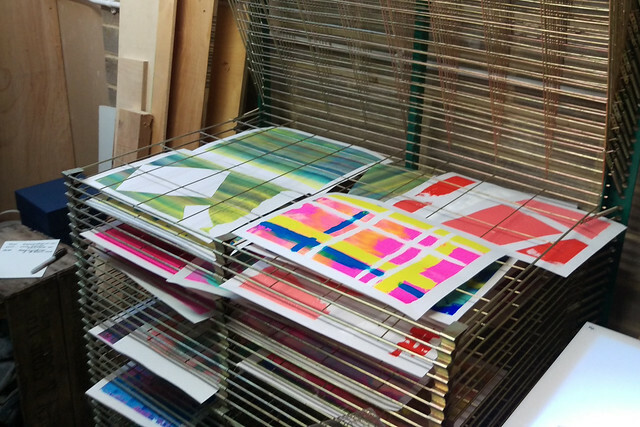 Back in November, Leyton Studios opened their doors to the public for the first time with workshops and open studios. 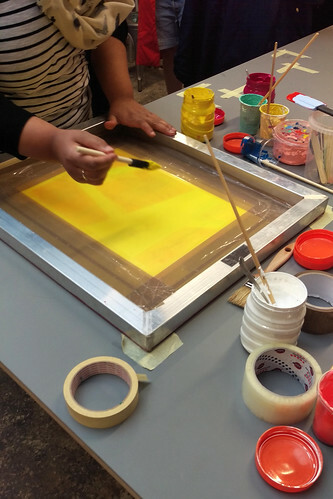 Claire’s print workshop proved to be very popular. Visitors had the opportunity to create their own artwork and have a go at a screen printing technique that I haven’t seen before that involves painting ink directly onto the screen before being pressed through to paper with a squeegee in the usual way. It’s super-simple but the results as magical as they are unpredictable. There were queues for the print workshop all day, with Claire and helpers rushed off their feet. 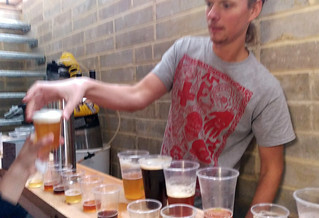 Luckily, the next-door studio houses a brewing collective, so there was a selection of home brew to reward everyone for their hard work. You can follow Leyton Studios on Facebook if you’d like to know more, or come along to the next open day on 12 December.